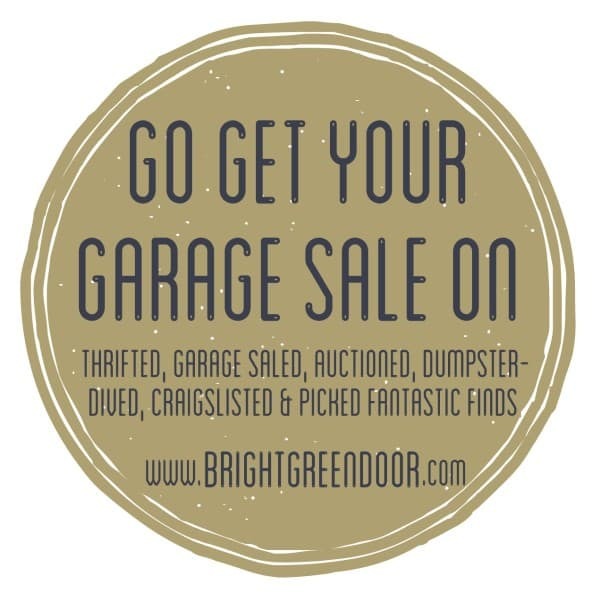 The time has finally come, for the best time of the year… GARAGE SALE SEASON! Have a budget. Mine is $25/week. That means I have $25 to spend on home decor, kids clothes, kitchen gadgets, toys, craft supplies, etc. Don’t live by your budget. If you’re in the market for anything expensive (a new patio table, new couches, a kids bed, expensive sports equipment, etc.) don’t overlook it just because it’s outside your budget. Wouldn’t you rather spend $100 on a garage sale patio table than $1000 on a new one? For this reason I keep $100 in a separate envelope, only for big ticket items. Now if I come home with the $100 gone and no big ticket item to show for it, we’ve got some talking to do. Get going EARLY. Around here most garage sales start at 8AM. I like to be parked and waiting at the first house then. Plan Ahead. The night before I check the classifieds and Craigslist to see what sales are going on. Map your route. I use Google Maps and plug in the address of each stop. I don’t always go in order of what’s closest because if there are two or three sales that sound the best I will make sure to hit those as early as possible. Bring a clothing list. I purchase all my boys clothes and shoes at garage sales, but sometimes it’s easy to loose track of what we have and what we need. Early each spring I go through everything we’ve got for each size and make a list so that I don’t buy duplicates (somehow I overbought on shoes last year and ended up donating tons of excess pairs). Negotiate. I rarely leave a sale having paid the sticker price for every item. If you’ve got four $1 items, offer $3. If you’ve got a stack of something offer a set price for the stack. Have an open mind. If the sale looks sketchy, check it out anyways (unless there’s barking dogs… I hate intimidating dogs). If an item is the wrong color, how would it look spray painted? If an item is dirty, could it be cleaned? Sometimes the real gems are found by thinking outside the box. Drive your biggest vehicle. Last year I was driving the G6. You don’t know how many times I had to ask sellers to hold items so I could come back with Matt’s Tahoe later in the day. About half way through the summer I learned to always drive the Tahoe. Now that I’m rocking the mini-van I should be set! Keep your kids happy. I’d say, “don’t bring your kids”, but we all know that’s not a reality. My method is to bring the portable DVD player, lots of snacks, and pick up a cheap toy for them here and there. If I go garage saleing unprepared it is a recipe for disaster, but with snacks and good movies they love it too! 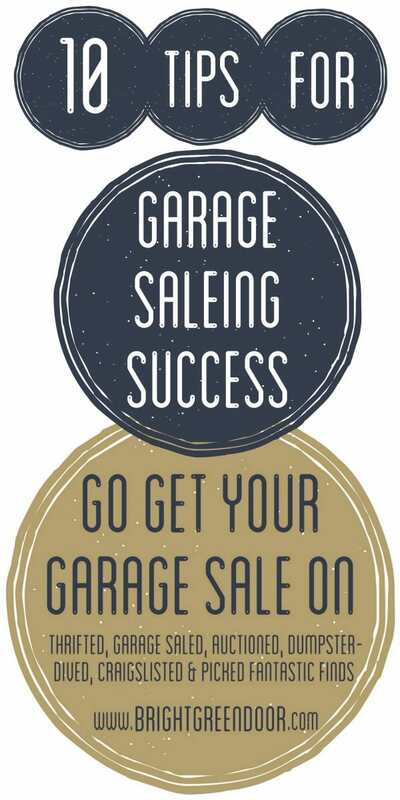 If you like these you’ll also love 10 Tips for Garage Sale Negotiating, The 5 Do’s and Don’ts of Garage Saleing (from my blogging buddy Amber), and How to Garage Sale for Name Brand Kid’s Clothes! So do you have any garage-saleing tips that I missed? Any tricks for finding the best stuff? You are my kind of girl! I love to go sale-ing all summer long! And I totally agree with all your tips!